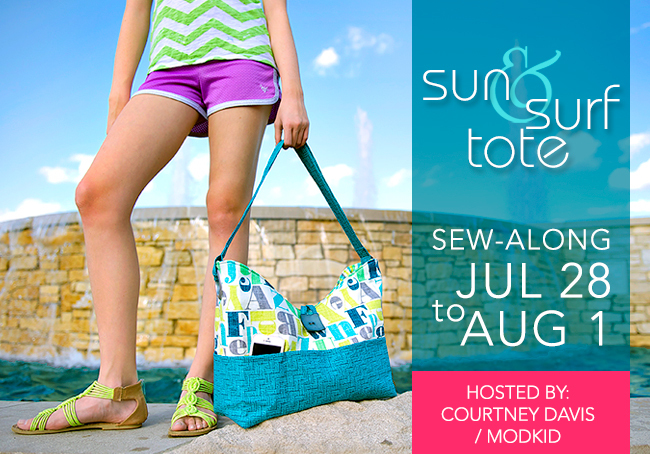 It’s day 4 of the Sun & Surf Tote Sew-Along! 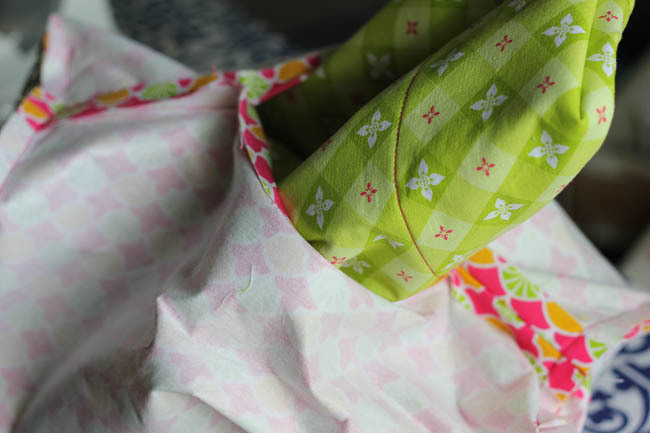 Today, we will attach the lining to the body of the bag, insert the canvas, and topstitch around the top of the bag. You’ll have the main body of the bag completed! 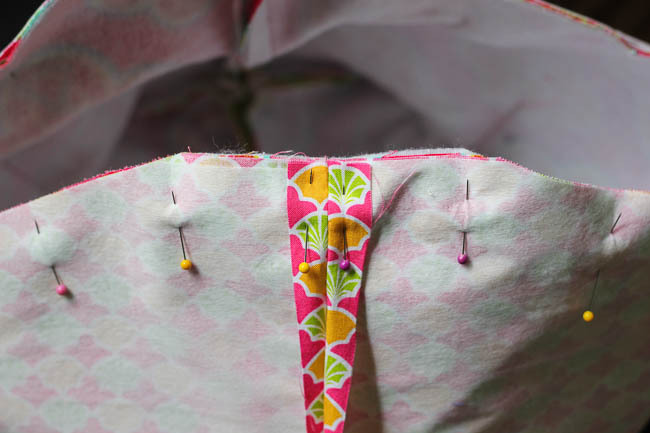 Reinforce the stitching at the button loop. 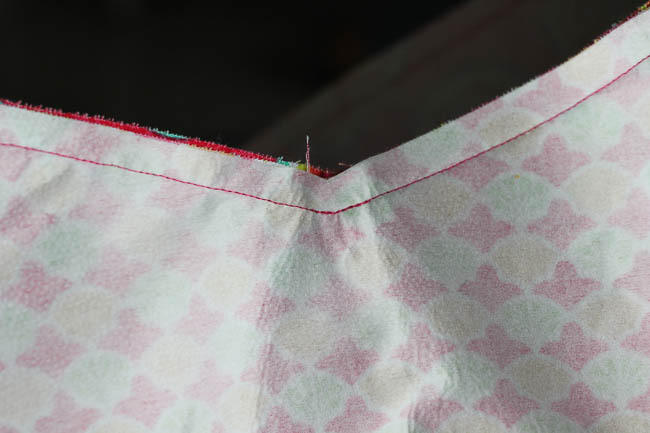 Trim the seam allowances to reduce bulk, and snip close to the V, being careful not to cut through the stitching. The paper pattern instructions and the PDF instructions vary slightly at this point, but with the same result. You can either insert the plastic canvas now, which is what I did, or turn the tote right side out, then insert the plastic canvas through the opening. 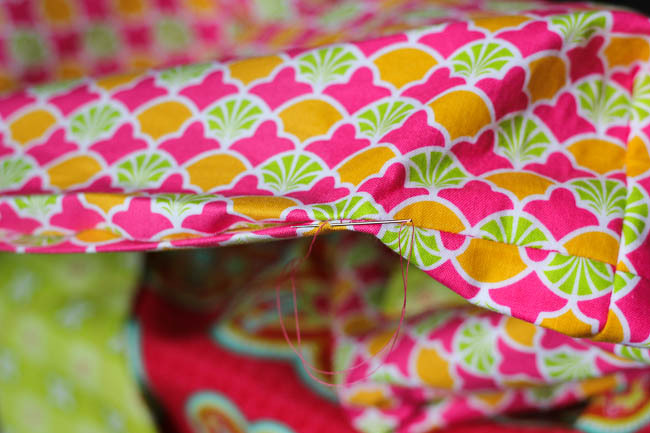 Just make sure the canvas sits under the seam allowance. 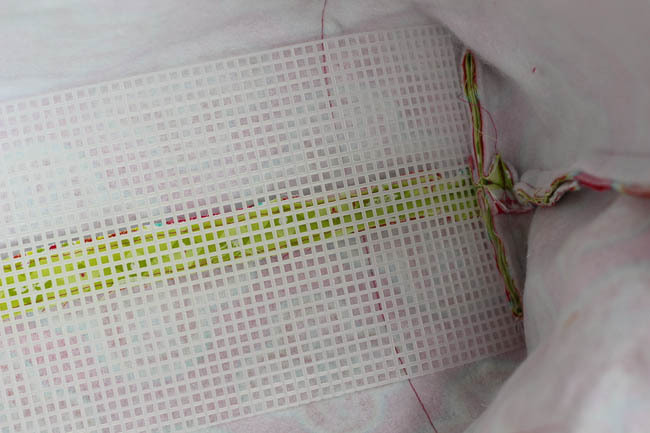 If the canvas does not sit flat, trim a bit off the short end. Here, I’m pulling the canvas and main tote right sides out, but you may choose to reverse these steps as noted above. 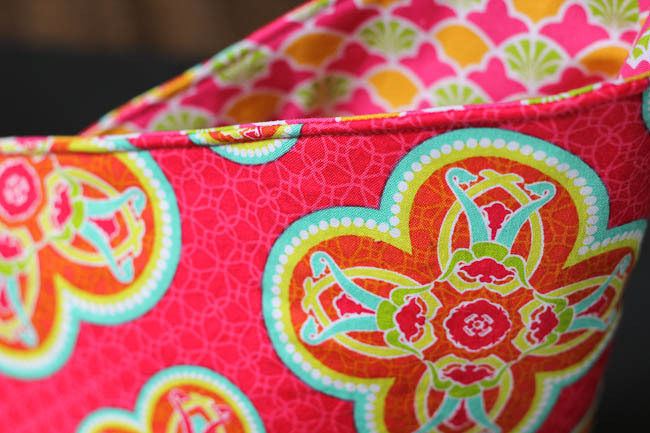 Stitch the opening in the lining closed and tuck the lining down inside the tote. 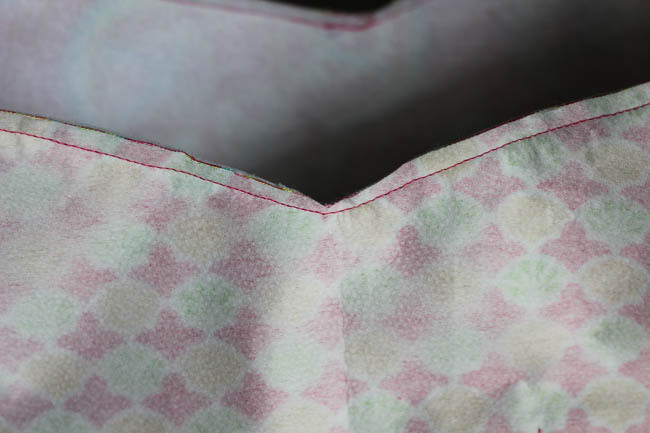 Press the top edge of the tote, then topstitch along the entire top edge. The end is in sight!! Tomorrow’s sewing is pretty light, so we’re almost there!! We would love to see your progress!! Show us your photos in our Flickr group or Facebook group. You can also share photos on Facebook and Instagram tagged #sunandsurfsewalong.